I love this top a lot!! First thing i need you guys to know is that it is like 4 years old yet it still looks so new! My sister Kalo and I got this fabric from Ghana. 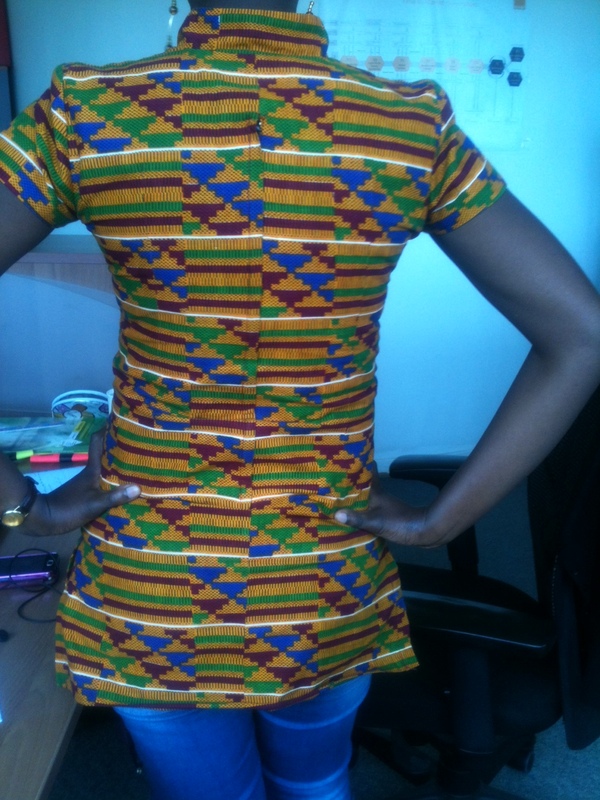 It is called Kente. 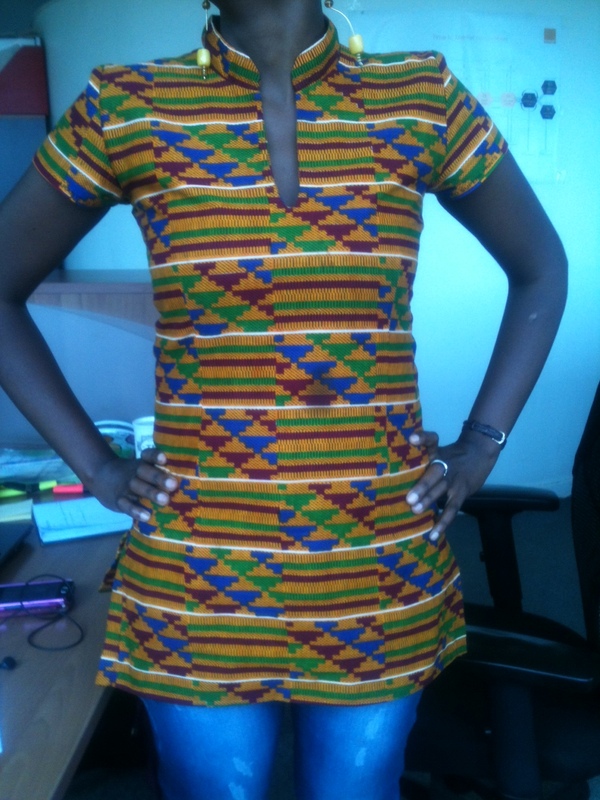 There is Kente available in Kenya but the Ghana one’s are too amazing! They take forever to fade! Simply beautiful fabric. The fundi who made this is my personal favorite! She has her flaws but her work is superb. She gets my fitting perfectly and for this reason, I will post many more outfits she has done for me. That top is simply awesomeeee!!! I have some Kente, thanks for the idea on what to do with it!